Compare at $26549 - Our Price is just $25776! Off-road capability, a roomy interior, and impressive safety features define the rugged Jeep Liberty. 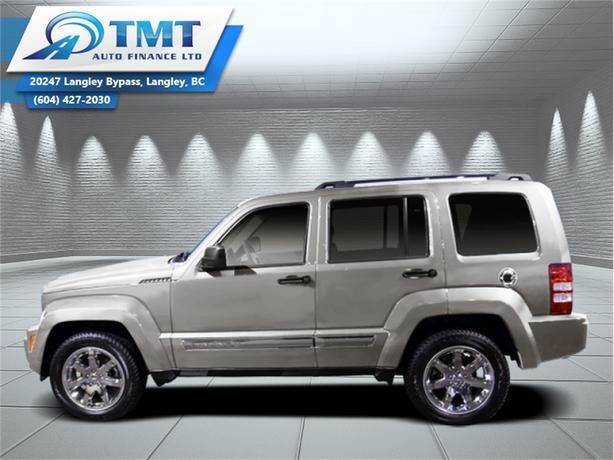 This 2010 Jeep Liberty is for sale today in Langley. Whether you're out on the trail or heading to the big city, the Jeep Liberty is built to deliver. It keeps you going with world-class Jeep brand capability. With advanced features and a comfortable interior, no matter where you're going, getting there is all the fun. This SUV has 149000 kms. It's silver in colour and is major accident free based on the CARFAX Report. It has a 4 speed auto transmission and is powered by a 210HP 3.7L V6 Cylinder Engine. This vehicle has been upgraded with the following features: Siriusxm, Air Conditioning, Power Windows, Power Doors, Cruise Control. Buy this vehicle now for the lowest bi-weekly payment of $228.03 with $0 down for 60 months @ 5.69% APR O.A.C. ( Plus applicable taxes - Plus applicable fees ). See dealer for details.